Darlington Civic Theatre raises the curtain on another spectacular Winter / Spring Season full to the brim with more delights than a Christmas stocking with something to please everyone! Christmas wouldn’t be Christmas without a pantomime, and this year we have the greatest pantomime of them all – Cinderella. 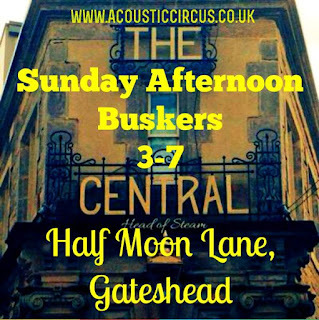 Starring Britain’s Got Talent winners Ashleigh & Pudsey, Brendan Sheerin from Channel 4’s Coach Trip and X-Factor finalist Niki Evans this promises to be a truly magical experience. You shall go to the ball, between Saturday 5th December and Sunday 10th January. 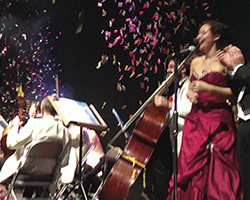 On Monday 4th January, we usher in the New Year in style with New Year in Vienna 2016 which will whisk you away to a fairy-tale world as the London Gala Orchestra alongside singers and conductor showcase the very best of popular Viennese music, from waltzes and polkas to uplifting marches. There’s a musical box of delights in store as we welcome back Beyond The Barricade on Thursday 14thJanuary, Steve Steinman’s Vampires Rock Ghost Train on Friday 15th January and stars of the hit film Brassed Off, The Grimethorpe Colliery Band on Saturday 16th January. 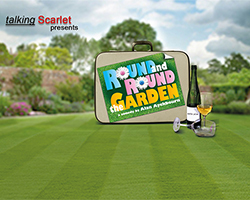 From Monday 18th to Wednesday 20th January we welcome talking Scarlet with Alan Ayckbourn’s classic comedy Round and Round the Garden. At times wildly comedic and then deeply poignant, Alan Ayckbourn reveals the secrets, lies and deceptions which simmer beneath the surface of family relationships. 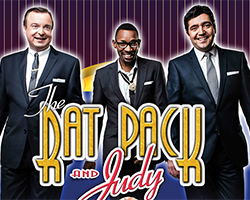 The excitement of a Las Vegas show will warm up those cold January nights and there’s none better than The Rat Pack and Judy on Thu 21 January. The number one Rat Pack tribute act are joined by Britain’s Got Talent star Becky O’Brien to bring us the hits of Frank Sinatra, Sammy Davis Junior, Dean Martin, Judy Garland and many more. 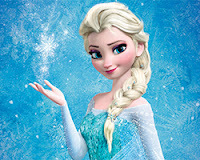 It’s time to sing your hearts out with a double bill of Sing-a-long-a.... all you budding Elsas will be able to Let It Go with Sing-a-long-a Frozen on Saturday 23rd January at 3pm. In the evening it’s the turn of the adults as we enjoy Sing-a-long-a Dirty Dancing – get ready to have the time of your life. 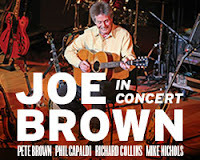 Music legend Joe Brown along with his five piece band bring you a whole host of musical styles in Joe Brown In Concert on Monday 25th January. Packed with timeless classics and humorous reminiscences, this is a sensational show not to be missed. We are delighted to welcome The Russian State Ballet & Orchestra of Siberia back to Darlington with three great ballet masterpieces: The Snow Maiden (Thursday 28th January), Sleeping Beauty (Friday 29th January) and Swan Lake (Saturday 30th & Sunday 31st January). Just because it’s February it doesn’t mean it’s too late for a party! By popular demand, That'll Be The Day returns with a 30th Anniversary Special for two nights only on Tuesday 2nd & Wednesday 3rd February. 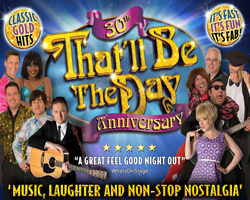 This hugely entertaining line-up of solid gold hits from the 50s, 60s and 70s provides both laughs and nostalgia. Two country music legends are celebrated in Islands In The Stream. Stacked with country music’s greatest hits including Jolene, Ruby, 9 to 5, Lucille, I Will Always Love You, The Gambler and many, many more. The show celebrates the queen and king of country, Dolly Parton and Kenny Rogers, on Thursday 4th February. Surprise! Peppa Pig is on her way to Darlington Civic Theatre along with her family and friends in Peppa Pig’s Surprise on Saturday 6th & Sunday 7th February. 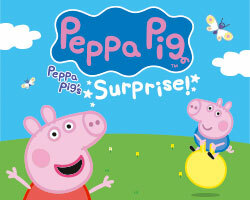 Enjoy fun and games in this charming, colourful new show with life-size puppets. 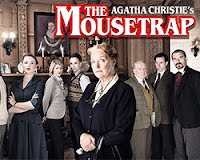 The world’s favourite murder mystery, Agatha Christie’s The Mousetrap is the longest running show of its kind in the history of theatre with over 26,000 performances. Now it’s your turn to work out ‘who-dunnit’ from Monday 8th to Saturday 13th February, starring Louise Jameson. 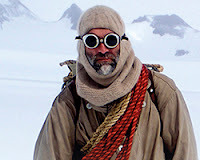 The Royal Geographical Society returns to the Dolphin Centre on Wednesday 10th February with Tim Jarvis presenting Safe Return Doubtful: Endurance Retraced recounting the 2013 re-enactment of Sir Ernest Shackleton’s perilous 1916 expedition to South Georgia. Gilbert O’Sullivan is known worldwide for hit songs including Alone Again (Naturally) and Get Down. He will perform his greatest hits alongside a 10 piece band with songs from his brand new album on Monday 15th February. Yo-ho-ho, shiver-me-timbers and avast behind! 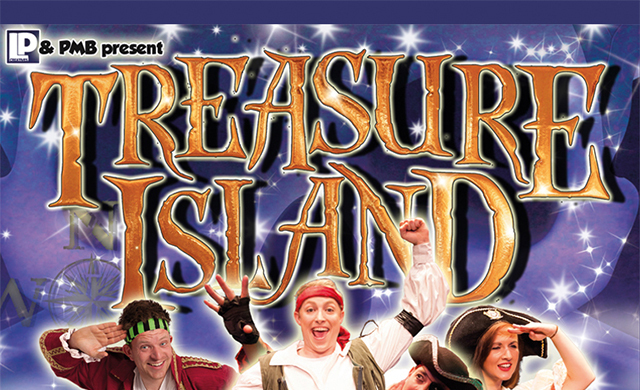 See Jim Hawkins, Old Ben Gunn and of course Long John Silver in the action-packed adventure Treasure Island. 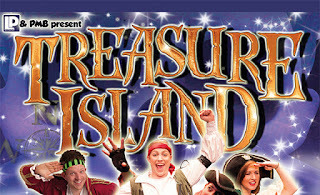 Full of shanties, cheering, booing, puppets and colourful costumes it’s a swashbuckling adventure on the high seas (Tuesday 16th February). On Thursday 18th February we welcome the first of a selection of Strictly Come Dancing stars as Brendan Cole brings his new show A Night To Remember to Darlington. One of Strictly Come Dancing’s most charismatic choreographers, Brendan leads his cast on a journey of music and dance in a spectacular night of theatrical entertainment. 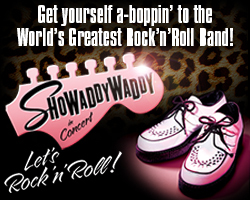 Dust off that long drape jacket, your drainpipe trousers and your crêpe shoes – it’s time to party with Showaddywaddy in Concert (Friday 19th February). 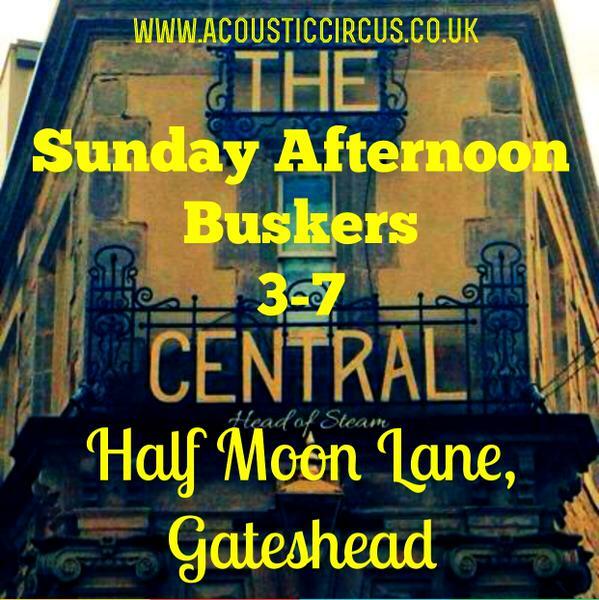 Their live show is dynamic and uplifting featuring all of their biggest hits including Under The Moon of Love, Three Steps To Heaven, Pretty Little Angel Eyes and many more. Ed Byrne.... You know him... the Irish guy. No, not the bald one, the other one. The one Carole from work really likes. Wait, that might be Jason Byrne. Anyway. Funny chap, has a new show. 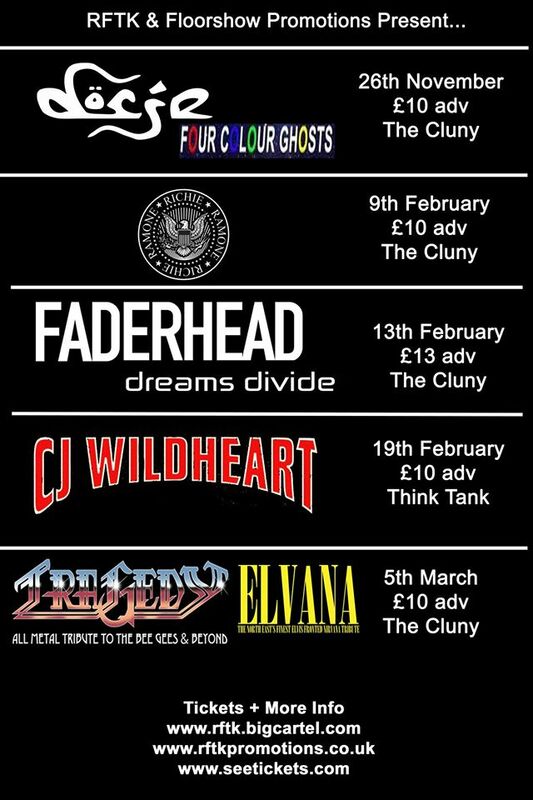 Saturday 20th February. The music of Frankie Valli and The Four Seasons is as popular today as it was back in the 60s and 70s. New Jersey Nights is a spectacular show direct from the USA and takes the audience on a nostalgic musical journey through the career of one of the biggest selling groups of all time (Thursday 25th to Saturday 27th February). From one iconic musical group to the celebrated King of Rock. 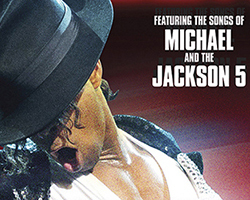 Direct from London’s West End, Thriller Live features the songs of Michael Jackson and the Jackson 5. Over two hours of non-stop hits as the cast pay homage to Jackson’s legendary live performances and innovative dance moves, this is a show you will never forget. Thriller Live runs at Darlington Civic Theatre from Monday 29th February to Saturday 5th March. Featuring the all original Fury’s Tornados and the uncanny voice of Colin Gold as Billy Fury, Halfway To Paradise is now in its 20th year and features timeless hits including Last Night Was Made For Love, Wondrous Place, I Will, Halfway To Paradise and many, many more. 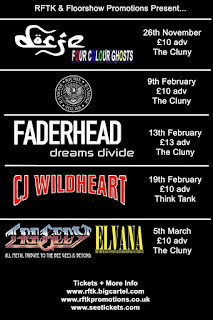 Come and experience Rock ‘n’ Roll heaven on Wednesday 9th March. Combining superb, distinctive vocals with flawless musicianship, timeless million-selling hits Could You Be Loved, One Love, No Woman No Cry, Buffalo Soldier and many more come to life in Legend –A Tribute To Bob Marley (Thursday 10th March). Prepare for a legendary night of happy vibes. Following recent productions of To Sir, With Love, Brassed Off, A View From The Bridge and Brave New World, The Touring Consortium Theatre Company presents Of Mice and Men by John Steinbeck from Tuesday 15th to Saturday 19th March. 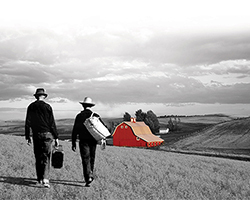 Set in America during the Great Depression, this classic play tells the story of George and Lennie, two migrant farm workers, who go in search of new beginnings in the hope of putting enough money together to buy a small piece of land to call home. Darlington Civic Theatre will play host to the world’s most celebrated divas in Simply The Best Divas (Sunday 20th March). X-Factor’s Amelia Lily and Niki Evans perform a brand new concert spectacular featuring the biggest hits from Madonna, Adele, Whitney Houston, Diana Ross, Cher and many, many more. Seville comes to Darlington with the hottest ticket in town. Starring the Romanian international soloist Lisa Kadelnik, Carmen bursts on to stage with a passion and energy unlike any other opera. Sung in French with English surtitles, Carmen is on Monday 21st March. From psychic phenomena to physical and mental strength as Ray Mears brings Tales of Endurance to the Civic Theatre on Wednesday 23rd March. Have you ever wondered how you might cope faced with impossible odds? Ray explores the topic of what it takes to be a survivor under seemingly impossible circumstances. Recognised internationally as one of the world’s leading tribute shows, Rumours of Fleetwood Mac bring their show back to Darlington on Saturday 26th March. Replicating perfectly the power and subtlety of Fleetwood Mac at their brilliant best the show includes all their biggest hits including Albatross, Go Your Own Way, Little Lies and many, many more. Who doesn’t like a murder mystery? 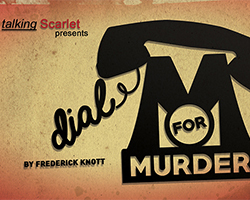 talking Scarlet bring Frederick Knott’s classic Dial M For Murder to Darlington from Tuesday 29th March to Saturday 2nd April. 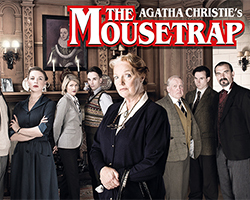 Famously filmed by Alfred Hitchcock, this intense and darkly gripping thriller will keep you on the edge of your seat – and you’ll never want to answer the telephone again! Strictly Come Dancing’s Pasha Kovalev returns with a new show, Pasha – It’s All About You on Monday 4th April. With his slick moves and brooding good looks, you can expect an evening of spectacular dancing, energy and sparkling costumes. It’s spring.... So that means plenty of Blue Sky, and if you think Rock ‘n’ Roll Is King then you are in for a treat on Tuesday 5th April with The ELO Experience. 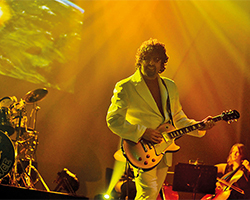 With a sensational band, stunning light show and large screen projection this incredible show accurately reproduces the songs and sounds of ELO. Star of the West Endand silver screen Anita Harris heads the cast in The Good Old Days of Variety on Wednesday 6th April. She will be joined by comedy legends The Grumbleweeds who, along with a full supporting company and live musicians, will put on a show unlike any other. If you are searching for a great night out at theatre then look no further than a night with The Searchers in Concert on Thursday 7th April. With classic hits including Sweets For My Sweet, Needles And Pins and Don’t Throw Your Love Away The Searchers contributed enormously to establishing the UK as the world’s leading nation in the music industry. 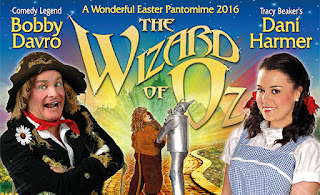 Pull on those Ruby Slippers and tie down your house... we’re off to see The Wizard of Oz on Friday 8th & Saturday 9th April. 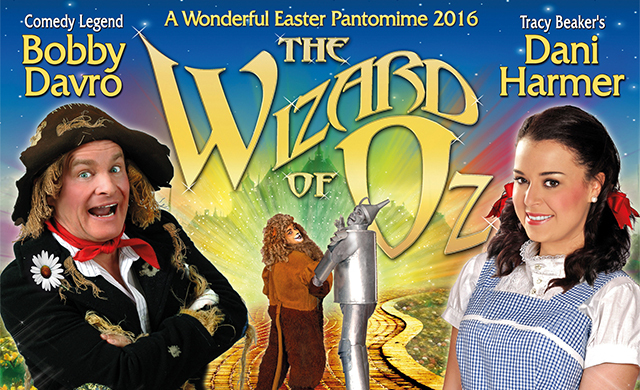 Our wonderful Easter Panto stars comedy legend Bobby Davro as the Scarecrow and Dani Harmer (Tracy Beaker, Strictly Come Dancing) as Dorothy. Packed with well-known pop songs, brilliant dance routines and plenty of laughter for all the family – come and join the fun over the rainbow. From Tuesday 12th to Saturday 16th April we are transported back to 1942 and the depths of World War II with Terence Rattigan’s Flare Path, an evocative portrait of life in wartime Britain for the RAF bomber crews and their wives and sweethearts, who were left awaiting their safe return. 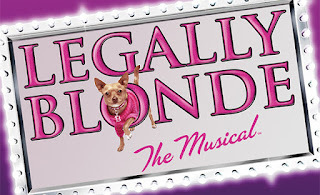 DarlingtonOS take us to the hallowed halls of Harvard Law School where Elle Woods is determined to win back her man by proving that you can be blonde and smart as they present the high-energy musical Legally Blonde from Wednesday 20th to Saturday 30th April. 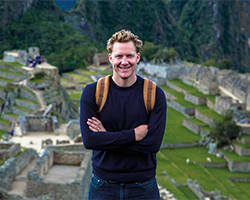 The Royal Geographical Society returns to the Dolphin Centre on Monday 25th April as Dr Jago Cooper presents The Lost Kingdoms of Central America where he considers what lessons we can learn from these great civilisations of the past. 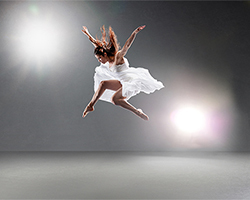 In celebration of their 35th year Phoenix Dance Theatre present a triple bill of intense, funny and beautiful works on Wednesday 4th May featuring choreography from Kate Flatt, Itzik Galili and Caroline Finn. 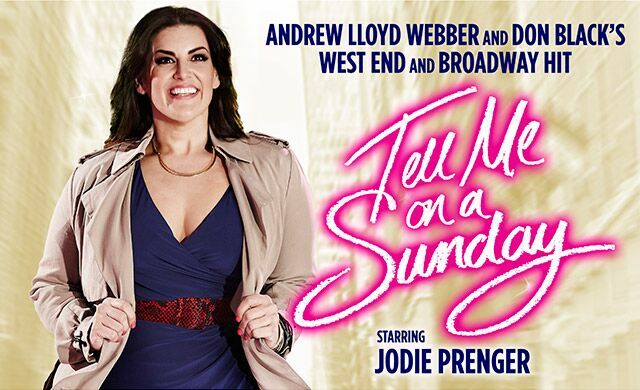 On Thursday 5th May Jodie Prenger returns to the Civic Theatre in the iconic show Tell Me On A Sunday by Andrew Lloyd Webber and Don Black. 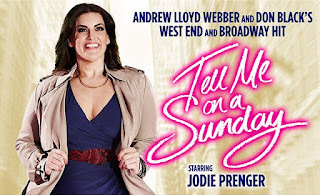 There will also be an intimate post show chat with Jodie where she will talk about life, love and playing the role of Emma. Russell Watson is the UK’s best-selling classical crossover artist of all time and he returns to Darlington on Friday 6th May with a stunning collection of his best loved songs. Captivating to watch and enchanting to listen to, Russell never fails to wow an audience with his enigmatic live performances. It’s time for the best party in town which will have you Dancing In The Streets in celebration of Motown’s greatest hits. On Saturday 7th May you can experience the energy and electricity of the motor city in a stunning production packed with hit after hit. 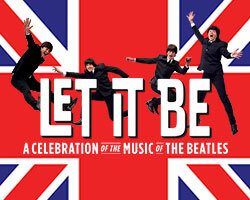 The smash-hit West Endand Broadway show Let It Be, celebrating the music of The Beatles, comes to Darlington Civic Theatre from Monday 9th to Saturday 14th May. Seen by over one million people worldwide, Let It Be has established itself as one of the West End’s most popular shows and continues to delight audiences across the globe. From Monday 16th to Saturday 21st May you have the opportunity to witness the grace, passion and beauty of the nation’s favourite Strictly Come Dancing stars in their ultimate farewell show. 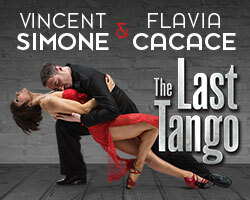 Vincent Simone and Flavia Cacace have created their most moving production yet as they prepare to dance in their final ever theatre tour with The Last Tango. Our season closes with the stage adaptation of David Walliams’ best-selling book Gangsta Granny. It’s Friday night and Ben is off to stay with his Granny and it’s going to be sooooooo boring. What Ben doesn’t know is that Friday nights are about to get more exciting than he could ever imagine. Gangsta Granny runs from Tuesday 24th to Saturday 28th May. 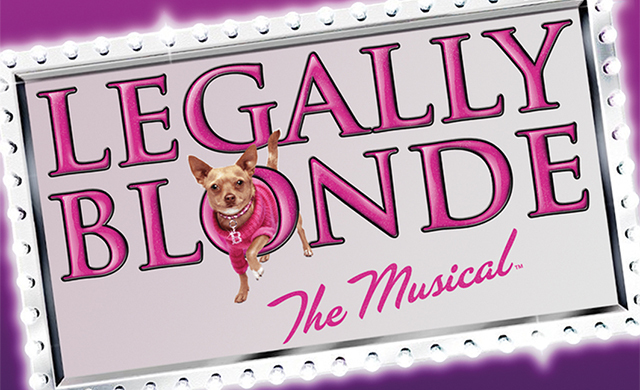 Tickets for the Winter / Spring season are on sale NOW! 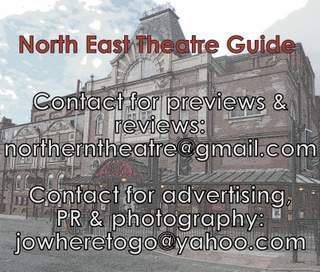 For further information about the full Winter / Spring Season programme, pick up one of our brochures located in venues across Darlington including Darlington Civic Theatre Box Office and the Cornmill Centre Box Office, or contact the Box Office on 01325 486 555 or visit www.darlingtoncivic.co.uk.